If you love cats you know how horrible and inhumane it is to declaw them, yet some people still insist on having the cruel treatment done to their cats to “save their furniture” even though there are many other ways to deal with the issue. A south New Jersey Assemblyman named Troy Singleton is sponsoring legislation that would make “onychetomy” which is the medical term for “declawing” your cat a crime of animal cruelty punishable by law. Both the cat owners seeking out the procedure and the veterinarians who perform it would face fines of up to $2,000 and 6 months in jail. Declawing is not a suitable replacement for proper training of your cats, it’s inhumane and cruel and it’s nice to see lawmakers are finally willing to take the steps to make this crime of animal cruelty illegal. Let’s hope this movement spreads across the country. If the law passes New Jersey would be the first state in the U.S. to outlaw declawing. A few cities in California have banned declawing, but it’s not a crime punishable with jail time and fines. 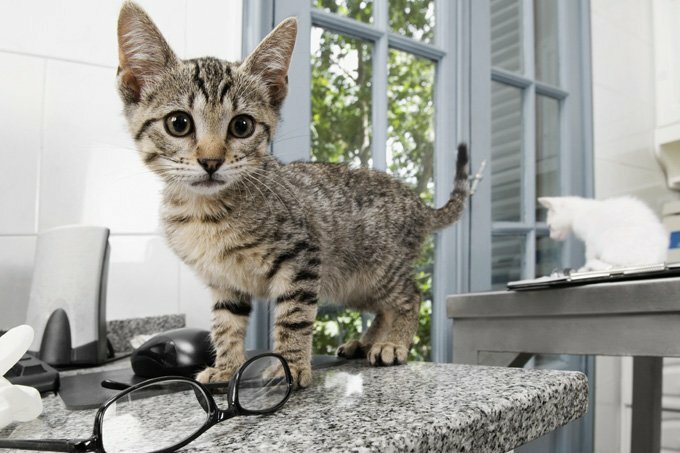 Declawing may seem like a quick and simple solution to your problems but it’s not the humane solution, so if you or someone you know is considering declawing a cat, please get educated on the procedure and how cruel it really is. Here is why IT’S NEVER OK TO DECLAW YOUR CATS.